Please take a few moments to read the following information and tips I have provided. They are really simple and can save an expensive trip to the vet, or even save your puppies life. Please pay extra attention to tips 1 and 2! I am a firm believer that an ounce of prevention is worth a pound of cure. As always, I am here to help you with your puppy day or night, but taking the time to learn and understand your puppy's needs is critical. Please never hesitate to call me with any questions or concerns about you puppy. 1. Hypoglycemia in puppies is very serious. You must be aware of what hypoglycemia is, the sign of it, and how to prevent it. Please read my page on hypoglycemia for detailed information. When a puppy goes to a new home they can experience stress during their adjustment period. Just like when people stress they don't want to eat. In a very short period of time the puppy's sugar can drop, they become lethargic, may possibly have a seizure and can die. There is no reason this should happen, hypoglycemia is preventable! 2. Any puppy is so susceptible to disease and Parvo until 2 full weeks AFTER their last round of vaccinations. Just because your puppy had their final vaccination, does NOT mean they are fully protected. I highly recommend not taking your new puppy out of the house until 14 days after their last vaccine. I know it is so hard to not show off your new baby, but it can cost them their life! If you absolutely insist on taking your puppy out, DO NOT let their feet touch the ground for any reason. Not even to go potty! It is that serious for your baby's health. Keep a pee pad with you and let your puppy pee on the pad in your car if you must. Make sure to keep your puppy in your purse or arms at all times if you take them out of the house before they are fully vaccinated. 3. Never use a collar on your Yorkie puppy (or any puppy), always use a body harness. Yorkies have very delicate tracheas and the pulling and pressure from a traditional collar against their windpipe can contribute to trachea collapse. A body harness is also a good idea so you can pull your tiny Yorkie or Papillon to safety if needed. Yorkies & Papillion's do not know they are a tiny dog and will confront a large aggressive dog with no fear at all. The last thing you want is for your baby to end up in the jaws of another dog. 4. Plain yogurt is great for puppy's digestive system. If your puppy's tummy is upset and your puppy ever throws up, give him a little bit of yogurt to help restore the natural, good bacteria in their digestive track. Please make sure the yogurt contains NO ARTIFICIAL SWEETER. This is generally found in diet and low calorie yogurt. Sugar substitute can be deadly to a puppy. 5. Small breeds are prone to dental problems and retained teeth. Teacup puppies are at even an increased risk for retained baby teeth. Brushing your puppy's teeth at least 2x a week will do wonders. A finger toothbrush from Petco works great. You just slip it on your finger and can easily control how much pressure you apply. Start brushing your pup's teeth when they are a baby so they are comfortable with it. If your pup just does not want their teeth brushed (like my Butters) try letting them chew on the toothbrush bristles with a little doggy toothpaste on it. It will help clean their teeth and maybe down the road your puppy will be a little more open to having their teeth brushed. Holding them down and forcing them is not a good idea! They will hate it and associate the toothbrush with a negative experience. 6. No pork for your puppy! Yorkshire terriers & Papillion's are prone to pancreatitis and pork is just too rich for them. For a treat, a tiny amount of skinless, plain baked chicken breast is okay. Just make sure you tear it up into tiny pieces so puppy does not choke. 8. Just say NO to Greenie chews. I cannot even begin to stress how dangerous these are to puppies. Greenies are well known for blocking puppy's intestines, resulting in a very expensive surgery if you are lucky, they most often cause death in your puppy! 9. Honey-Nut Cheerios are wonderful for your puppy to snack on! The sugar helps keep their blood sugar up and prevents hypoglycemia in your baby. I use these as treats all the time. 10. If your puppy is a picky eater and is not eating their kibble, try sprinkling some parmesan cheese on top. This almost always works and your puppy should eat with no problems. When you get a new puppy, it’s only natural to want to simply hang out with them and play and cuddle all day. Unfortunately, there are a number of things that you need to do in those first few days and weeks — both to make sure that your new pup stays healthy and to establish good behavior patterns. Rest assured that the work you put in now will pay off tenfold in the long run. When your full-grown adult dog is balanced, well-behaved, and the envy of all your Pack Leader neighbors, you’ll be glad you took good care of her right from the beginning. One of the most important things you need to do for your puppy right off the bat is to establish a routine. Though it will be difficult initially for you to decide on a routine that will work for you, your family, and your puppy, don't wait too long to figure it out. Your new puppy is doing his best to become a full-grown adult dog. But in order to do so, he’s going to need to eat more frequently than an adult. Where you can feed many adult dogs twice a day — or even just once — puppies need to be fed three times a day like people. Sound like a lot of work? Well, the good news is that you can plan your pup’s meals more or less around your own. The best times to feed him are around 7 in the morning, at noon, and then again at 5. You’ll want to follow this schedule for the first 3 to 4 months of your pup’s life. Then you can switch to twice-a-day feedings unless your vet recommends continuing more frequent meals. Establishing a routine for eating times is especially important. With a set feeding schedule, your puppy will learn when to expect food and will be less likely to beg between designated meal times. Unless you want to have a big mess on your hands, you need to make sure you’re giving your pup “potty time” every 2-4 hours. Any longer than that and she just won’t be able to hold it. Putting a set time (and place) to this activity also teaches her that this isn’t just something she can do whenever and wherever she feels like it. Very young puppies can’t get into any kind of formal training class right away, but that doesn’t mean you shouldn’t be teaching him some basics every day. One thing every pup can start learning: keywords. Begin with important words like “good,” “bad,” and “no.” Keep these words simple and be consistent with which ones you us. Your dog needs to get used to hearing the same words in order to associate the same meanings with them each time. Starting to think you’re never going to have any fun with your new puppy? Well, you can relax, because it’s also important to build time for exercise and play time into your schedule. Ideally, you want to begin your pup’s day with exercise before she has her first meal. After breakfast, try a pack walk (if she’s too young to go outside, you can do this around the house) followed by some bonding or play time. You’ll repeat this general routine throughout each day. Exercise, meal, exercise, bonding, meal, and so on. By creating a good schedule for your puppy and starting small with tasks like feeding times, potty times, teaching keywords, and exercising and playing, you will not only save yourself innumerable future headaches, you’ll also ensure that your new bundle of joy grows up to be the best that he can be. Copyright 2015 Cesar Millan, Inc. All rights reserved. PLEASE TAKE A MINUTE TO READ THIS ENTIRE PAGE, IT WILL BE WELL WORTH YOUR TIME! AVOID BEING SCAMMED! I feel it is truly a shame I must add this page but I feel the responsibility to keep people informed on how to educate and protect themselves from these criminals that prey on people's desperation for a Yorkie puppy to love. Most of the time an ad will be posted on the Internet for a puppy for sale cheap ($150-$300) or free and all you do is pay shipping. You send the money, and the Yorkie puppy never arrives. Lesson #1, if it sounds too good to be true then it probably is! Often times the person selling the puppy is a missionary or working in another country and must sell the puppy quickly. There is usually some kind of sad story or story of charity work involved. They will usually ask for Western Union or a money order as payment. Most Yorkie/Papillon puppy scams originate in Cameroon Africa. This is what they do for income, scam people out of their hard earned money! They may also pose as a Yorkie/Papillon puppy breeder here in the USA. They promise you a purebred puppy for a cheap price! (warning #1) Again you send the money and your puppy never arrives! Some will even go as far as to setup a website with a stolen credit card to make themselves appear to be a legitimate source to purchase a puppy! Here are some things to watch for in Yorkie/Papillon puppy scams. 2. They want payment through Western Union or through a money order. I promise if they are asking you for Western Union, it is a scam! 4. They usually have bad English and their wording is just odd! 5. They are missionaries and can no longer take care of their puppy. 6. They were praying for someone to give their Yorkie/Papillon baby a loving home. often have family members or friends give fake recommendations. check. All dogs must be vet checked before going on a plane. * Beware of free or cheap puppies for sale! Yorkshire Terrier's And Papillon's are not cheap. I put a lot of time and money into my puppies. If it sounds to good to be true then it usually is! * Never purchase a puppy over the Internet without talking to the puppy breeder on the phone! Responsible breeders will want to talk to you first too! * Beware of anyone promising to deliver a puppy within so many hours of payment. Most common is 24 hours. It takes much longer to get a puppy vet checked and booked for a flight to be properly shipped. * Ask for a vet reference. This is better than using references given to you by the breeder. 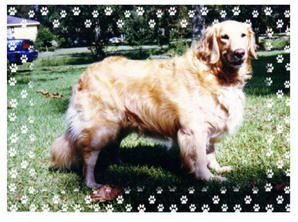 A breeder can always give you names and numbers of friends and family members. If you talk with a vet this is a place of buisness and is more reputable. Ask the vet if this client exists and if they are a dog breeder they would recommend. * Do NOT send payment via money order or Western Union. These payment methods offer no fraud protection. It is much safer to use PayPal or a credit card. If you are scammed you can do a charge back and the credit card company will refund your money. The credit card company will then pursue legal action against the scammer. ~ Cameroon Africa. If it has to do with Cameroon it is a scam 100% of the time, no question about it! ~ Payment via Western Union or money order. A honest breeder will never ask for payment through Western Union. They will accept PayPal or credit cards and are in good standing with their merchant account. ~ Unable to post multiple photos of the puppy in question. Don't believe any excuse they may have not to send you photos. ~ A Yahoo email account. The majority of puppy scammers use Yahoo for some reason. ~ An invalid phone number. Make sure you call and speak to the breeder. With Google Voice it is easy to have a phone number with any area code. If the scammer does have a phone number they generally don't answer the phone. Their bad English and accent is a dead giveaway. ~ Misspellings and awkward, backwards English. There is just something not right with the way they write and word things. ~ They often have their email watermarked on the photo of the puppy they are selling. This is to fool the classified ad, many classified ads don't allow email addresses to be posted due to so many scammers.